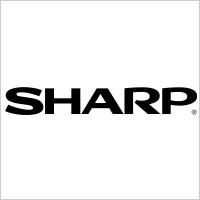 Apple Investing in Sharp for iPad 3, iPhone 5 LCD Displays? A source close to Reuters claims Apple is planning to invest nearly $1 billion into a Sharp LCD factory, triggering numerous suppliers looking for business with Apple following its publicized legal dispute with current display supplier Samsung. Reuters lists Elpida Memory Inc., a Japanese chipmaker, and Toshiba among the countless number of companies hoping the issues between Apple and Samsung will prove irreconcilable. “If the situation escalates into a state of war, this could mean a huge shift in orders,” claimed one unnamed source. But why exactly is Apple planning such an investment? Perhaps, with Samsung potentially out of the picture, the consumer technology giant is searching for a display manufacturer that can replicate the iPad 3 retina display reportedly being tested.